Hearts of Oak suffered their second Normalisation Committee Special Cup defeat as they were stunned 1-0 by Karela United in Ayinase on Sunday. Coach Kim Grant's side were looking to bounce back from their 1-0 defeat at Elmina Sharks but Solomon Sarfo Taylor's first-half strike was enough to extend Karela's unbeaten start to the competition. Taylor headed home a freekick on the 42nd minute. 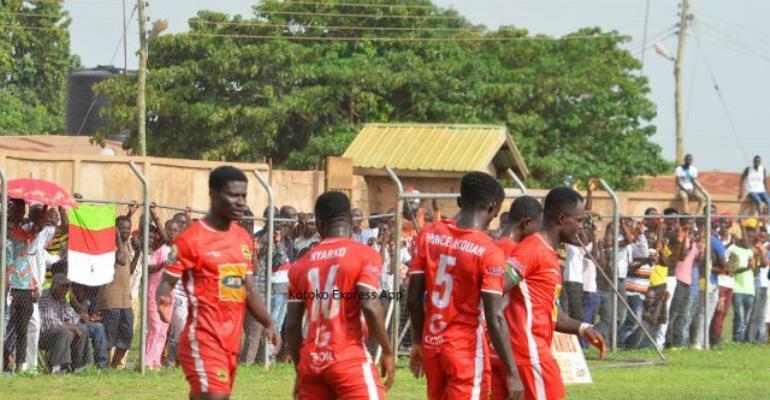 Meanwhile Hearts of Oak's fierce rivals, Asante Kotoko bounced back from their midweek defeat at the hands of Medeama to demolish Eleven Wonders 3-0 in Techiman. Fatawu Shafiu scored a freekick to give Kotoko the lead before captain Amos Frimpong headed into the net from close range to make it two nil. Evans Owusu put the game beyond the reach of Wonders when he scored Kotoko’s third in the 63rd minute. Elsewhere in Dansoman, Liberty Professionals made it two straight wins by beating Inter Allies 2-1. Liberty who pummeled Ebusua Dwarfs 4-0 last Wednesday made a brilliant start to the game scoring on 12 minutes through Elvis Kyei Baffour. Effiong Nsungusi Jnr levelled the score in the 67th minute but two minutes later Simon Zibo scored the winner for the Scientific Soccer Lads. Bechem United needed a second-half strike by Kofi Agbesima to overcome Berekum Chelsea while Dreams FC beat Ebusua Dwarfs 1-0 to claim their first win. 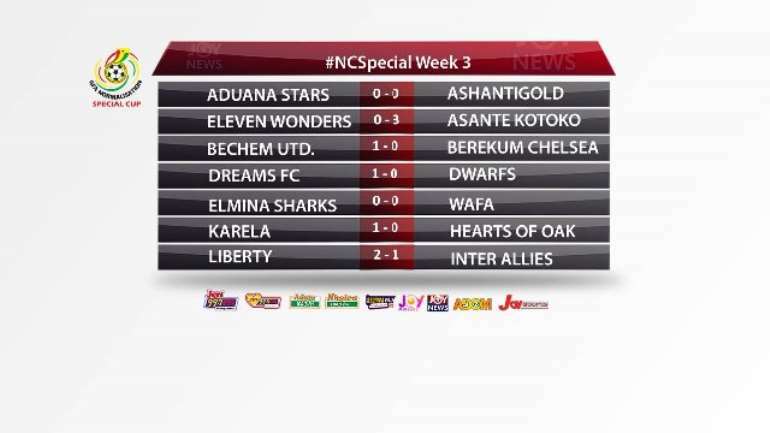 Aduana Stars and AshantiGold played out a goalless draw in Dormaa. 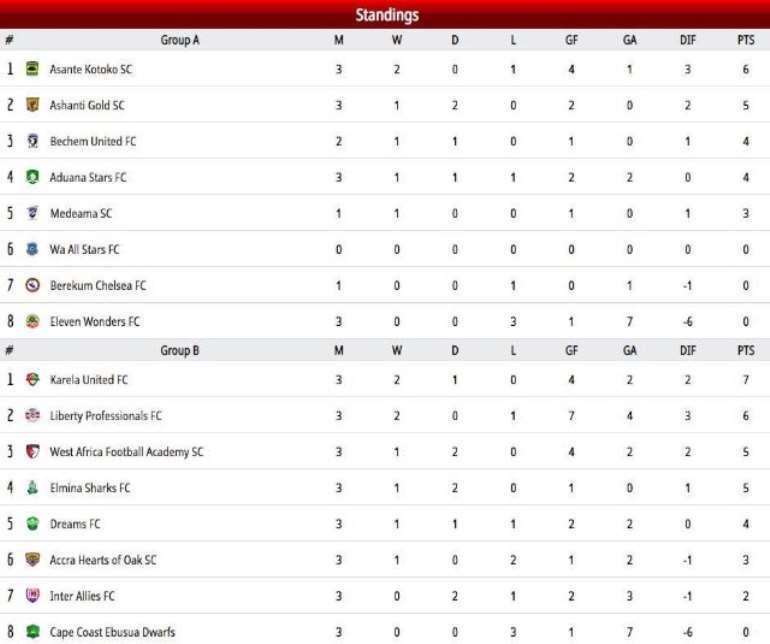 The same scoreline was recorded in the game between Elmina Sharks and WAFA.